The Hindu temple of Preah Vehear was named a UNESCO World Heritage Site in 2008. Ironically enough, the peace this ancient site encompasses has led to severe clashes between the two nations of Cambodia and Thailand, who both claim the land surrounding it. The geography of the Preah Vehear has made this dispute a complicated issue, because it is on the border of Thailand, but in a Cambodian province. The roots of the dispute trace back to over a century ago, but the sovereignty of the Preah Vihear temple was granted to Cambodia in 1962. However, clashes started in April 2009, when soldiers exchanged fire across the border. 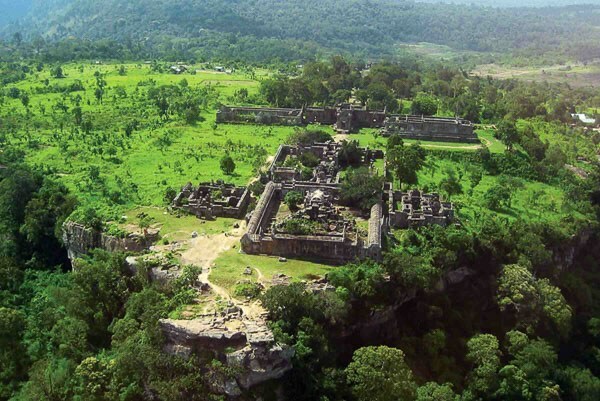 Thailand claimed that the land surrounding the Preah Vihear belonged to the Thais, but Cambodia believed that the temple and land surrounding it was rightfully theirs. More serious problems followed in February 2011, when atleast eight people were killed in several days of fighting. Eventually, the violence spread to another set of temples in April, forcing tens of thousands to flee from the area. In February 2011, Cambodia brought the case to the attention of the UN Security Council, which then brought it to the ASEAN committee. However, ASEAN could do nothing to prevent further clashes in the April of 2011, and political relations between the two countries reached a stand still. In April, Cambodia returned to the International Court of Justice (IJC) and requested it to reiterate its 1962 ruling. In July, the ICJ created a protective zone around the temple and ordered troops from both countries to withdraw from the area. Hearings at the ICJ began in April 2013, and the court ruling was set to November 11, 2013. As of November 11, 2013: 6:02 PM, the International Court of Justice of the UN has ruled that Cambodia should have sovereignty over the land around the Preah Vihear temple on the border of Thailand, and has stated that all Thai troops must be withdrawn from the area. In my opinion, I feel that the ICJ made the right decision in this ruling. Although I am a resident of Thailand and I have lived here my whole life, I still feel like this was a dispute Thailand had very small changes of winning. The ICJ had two very realistic solutions in their hands: Either to give full sovereignty to Cambodia, or to establish the Preah Vihear temple as a neutral site. However, the latter of the solutions would just lead to more conflicts and problems for both nations and the UN. The only potentially attainable solution the ICJ had was to give the temple to Cambodia. The Preah Vihear was given to the Cambodians half a century ago, and they have held sovereignty over it for all these years. It doesn't feel right to me that Thailand should control the land surrounding this precious heritage site, because or else the whole purpose of the temple is completely contradicted! If the two nations are involved in one small temple, future conflicts will be almost inevitable, especially over tourism and business. I believe that temples were not built primarily to make money or fight over; rather, they were built as sanctuaries for those in need of peace and salvation. I feel the ICJ has made the right decision. Perhaps now, the temple of Preah Vihear can freely radiate the peace it has retained for so long.